Pet Safe Plants. You should be able to safely feed your rabbits (or herbivore pets) plants from this long list of rabbit-safe plants. You'll also find tips about possibly toxic plants below. Owners of pet rabbit owners and rabbit breeders frequently feed their rabbits commercial rabbit pellets. But, with the rising costs of feed, and with the dire threat of GMO plants having become a dangerous reality, more and more rabbit owners are looking into other ways to feed our rabbits. You CAN effectively feed your rabbits with fresh-gathered rabbit food, and keep your rabbits healthy. It helps to gain a little knowledge ahead of time. Know the nutritional needs of your rabbit, so you will know which pet safe plants can fill those nutrient needs. This is where an excellent nutritional resource like Rabbit Production comes in very handy. We highly recommend this scientific resource. Don't poison your rabbit! That's where this page comes in -- we think we've compiled a very useful list of pet safe plants that can guide you in your quest to safely feed your pet rabbit, show rabbit, meat rabbit or wool rabbit. Our list of 'probably' pet safe plants is drawn from many many sources, including our own experiences and those of other rabbit breeders with whom we have communicated. We cannot certify the following list as being infallibly safe. Please implement at your own risk. Nevertheless, we believe we would be willing to feed any of these pet safe plants to our own rabbits. Herbs to Boost Immunity in Rabbits: Check out this article by NWEdible. 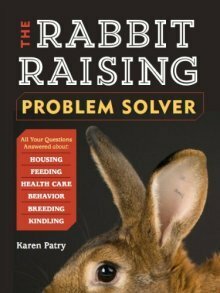 The author strikes me as wise and realistic about rabbit health; perhaps her research about immune-boosting herbs has some validity. This edition of Rabbit Production is the latest one (2013). I have this 2013 volume, and a hardback copy of the 5th edition (1987) which I've used for many years. The older editions still offer valid information. Corn (IF you can find or grow it non-GMO.) Go very easy on corn (due to high carbs). Find pictures for some of these plants HERE. Pet safe plants may be pet-safe, but if you feed too much, you can still upset your bunny's guts and create a potentially lethal case of diarrhea. Obesity is a health problem among pet rabbits. We suggest knowing your rabbit's breed and ideal weight, and then resolving to not go overboard on treats. At the very least, know which of these pet safe plants are low in energy and carbohydrates, and choose these for treats instead of, say, apples and bananas. 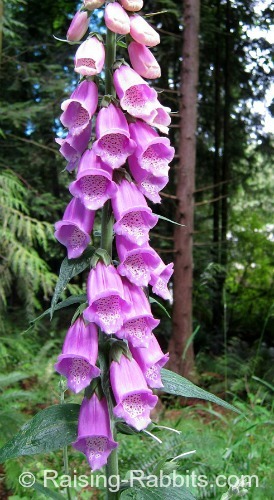 It is difficult to create an exhaustive list of unsafe plants, for several reasons. 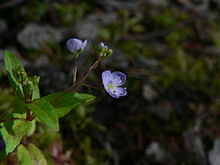 Many discrepancies exist across sources as to which plants are poisonous and which are not. 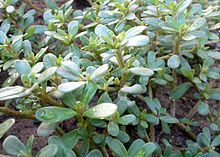 Some plants were either toxic or safe depending on the source, and most resources didn't give any reason for why they listed the plant either toxic or nontoxic. Instead, we'll link you to a couple websites that seem more reliable than others. You can study the entries on those lists and compare them with the plants in your area. Since we are unable to verify the accuracy of the information, please feed or not feed plants to your rabbits at your own risk. When in doubt, do your own due diligence and research it. Cucumbers and light green lettuces, such as iceberg lettuce, can trigger diarrhea (dysbiosis) in some rabbits until their intestinal flora can balance itself to accommodate the veggies. Additionally, they have minimal nutrient levels and very high water levels. Rabbits don't do dairy products, as a rule, and especially not pasteurized products. This includes yogurt. Onion, leeks, chives, garlic - these can suppress the immune system, cause blood cells to break open (hemolysis), and can even trigger anaphylactic shock in susceptible rabbits. 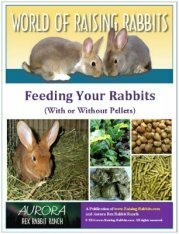 Feed Your Rabbits, With or Without Pellets!